For the sixth consecutive year, the California State University received a record number of applications for fall enrollment. More than 830,000 applications were submitted by prospective students for fall 2016 - marking a 4.8 percent increase and more than 40,000 applications over last year's total. This unprecedented number of applications to the CSU's 23 campuses reflects the growth in demand for high-quality public higher education in California. In addition to the overall rise in applications, the CSU has seen a 27 percent increase in applications from African American students and a 26 percent increase from Latino students. While the demand for a CSU education is at an all-time high, capacity issues persist due to state funding limitations. For the 2016-17 academic year, the governor's proposal allocates an additional $139.4 million investment in the CSU, which will fund a 1 percent net student enrollment growth. In order for the university to continue to address the anticipated shortage of bachelor's degrees in California by 2030, a 3 percent net student enrollment growth is needed, requiring an additional $102.3 million in state funding. Fully funding CSU's proposed Support Budget Request would allow the university to enroll approximately 12,600 additional students. The CSU remains a state leader in producing job-ready graduates, and an investment in the CSU is an investment in California's economic and social future. As Chancellor Timothy P. White said, "The CSU does much of the heavy lifting required to build an educated workforce in California and it's something that we're incredibly honored to be a part of." The priority application period for fall 2016 closed on November 30. CSUMentor contains information about the campuses and programs that are accepting applications. The California State University is the largest system of senior higher education in the country, with 23 campuses, 47,000 faculty and staff and more than 470,000 students. 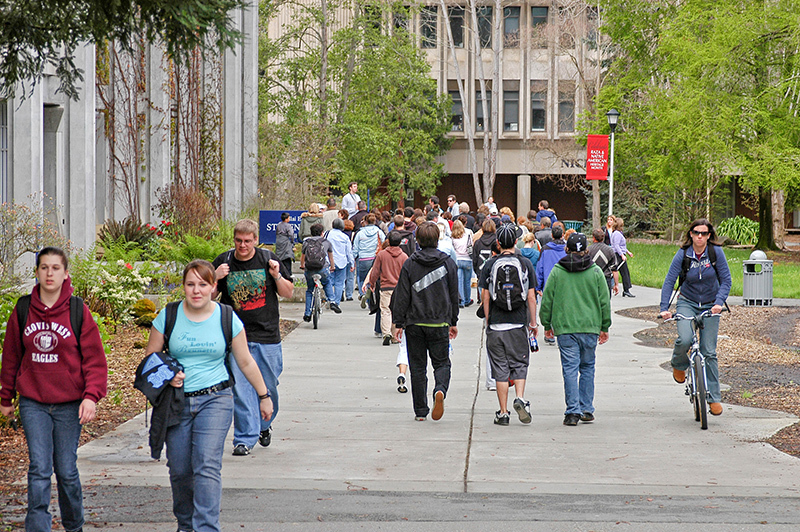 Half of the CSU's students transfer from California Community Colleges. Created in 1960, the mission of the CSU is to provide high-quality, affordable education to meet the ever changing needs of California. With its commitment to quality, opportunity, and student success, the CSU is renowned for superb teaching, innovative research and for producing job-ready graduates. Each year, the CSU awards more than 100,000 degrees. One in every 20 Americans holding a college degree is a graduate of the CSU and our alumni are 3 million strong. Connect with and learn more about the CSU at CSU Social Media. California State University has reached a tentative agreement with the California Faculty Association (CFA), resolving a year-long dispute over faculty salaries and averting planned strike activity next week by the CFA.